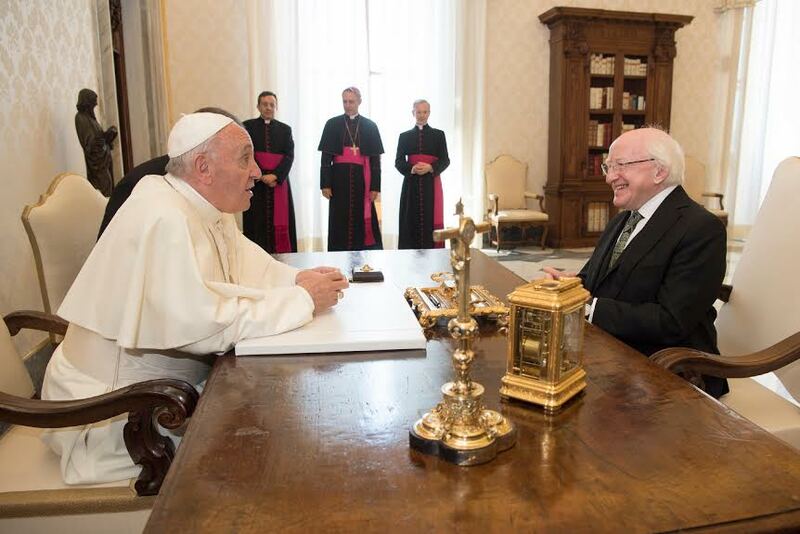 Pope Francis received in audience the President of Ireland, Michael D. Higgins, this morning. According to a statement released by the Holy See Press Office, the discussions were cordial, and highlighted the good existing relations between the Holy See and Ireland. After meeting with the Pope, the President of Ireland met with Vatican Secretary of State, Cardinal Pietro Parolin, and Secretary for Relations with States, Archbishop Paul Richard Gallagher.